Attention : You must be able to swim at least 25 meters. Lake : 15€/canoe for 1 hour. 20€/canoe for 2 hours. Our arrival base Aubanel Brissac is a partially wooded meadow on the edge of the Hérault river, at the mouth of the Brissac river. At this point there is a calm lake, perfect for sunbathing and training. Canoeing with two kids under 12 is strictly forbidden. 2 descents + 2 nights in camping = 49€/person. 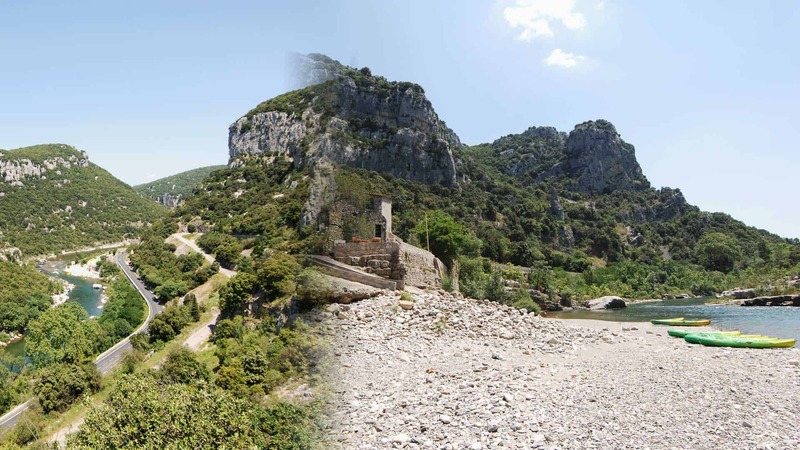 (Supplement of 10€ if you want to do the part in Saint-Guilhem-Le-Desert. You’ll need your car to go to the next descent base, this will take you about 30 min).